On the Svalbard Islands of northern Norway there lies the town of Longyearbyen, the northernmost town in the world with a significant population. (There are a few research bases further north.) 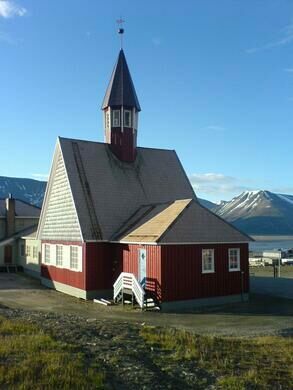 The former coal mining town is now the cultural and commercial center of the Svalbard Islands, featuring the northernmost ATM, church, museum, radio station, airport, and university in the world. 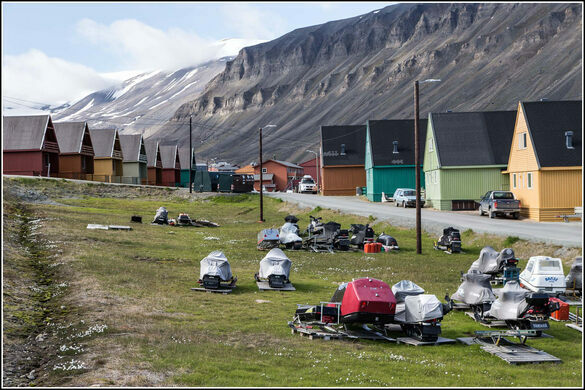 Due to the town’s precarious latitude—at 78 degrees North—there are a few strange practices that all people living in Longyearbyen must abide by. 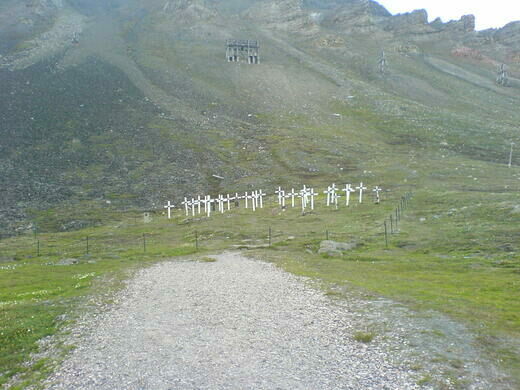 The most bizarre may be that it is illegal to be buried here. The permafrost and sub-zero temperatures in Longyearbyen make it so that any dead bodies lying six feet under are perfectly preserved, as if mummified. Therefore, the government of Svalbard requires that any dead bodies must be flown by plane or shipped by boat to mainland Norway for burial. This law has been in effect since 1950. The freezing temperature also requires that all houses must be built on stilts, so that when the island’s layer of topsoil melts in the summer houses don’t sink and slide away. Cats are banned from the city, in order to protect endangered Arctic birds. 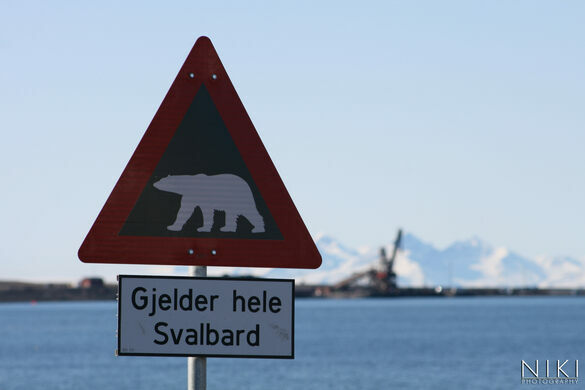 And due to the impending threat of polar bear attacks in the frigid Arctic Circle, residents are encouraged by the government to carry a firearm for protection when traveling outside the settlement (loaded firearms within the town are prohibited however). Every year, on March 8 at 12:15 p.m., the people of Longyearbyen celebrate “Solfestuka,” a holiday honoring the town’s first glimpse of the sun in over four months. 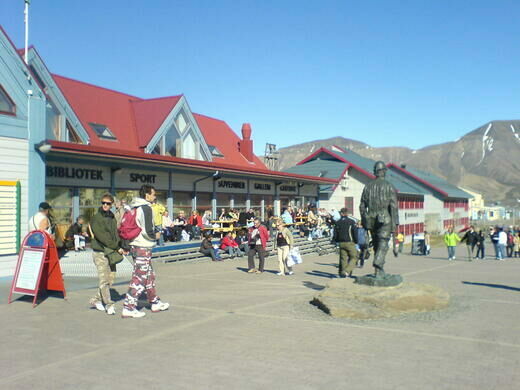 With a complete absence of the sun for a third of every year, it’s always certain to be a long year in Longyearbyen. Each year, teams of the world's best snow sculptors have 65 hours to create their frozen masterpieces.